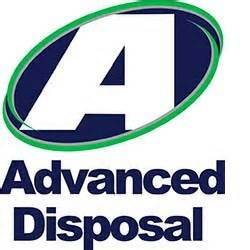 The Town of Batesburg-Leesville has contracted with Advanced Disposal to provide sanitation and recycling services to citizens and businesses located within the municipal boundaries of Batesburg-Leesville. All household garbage must be in plastic bags and placed inside of provided trash containers. Please keep our town clean and litter free by putting garbage in securely tied plastic bags. Containers provided by Advanced Disposal must be placed by the roadway no later than 6:30 am the day of pickup. Once your garbage containers have been emptied, please remove the container from the side of roadways and place back at your residence or place of business. Garbage containers shall not be left out by the roadway at all times. Normal scheduled pickup for household garbage is based upon address. Pick-up services are typically between the hours of 7:00am and 3:00pm Monday through Thursday. There are factors that can delay pickup of household garbage and can possibly lead to garbage collection occurring on the next day. 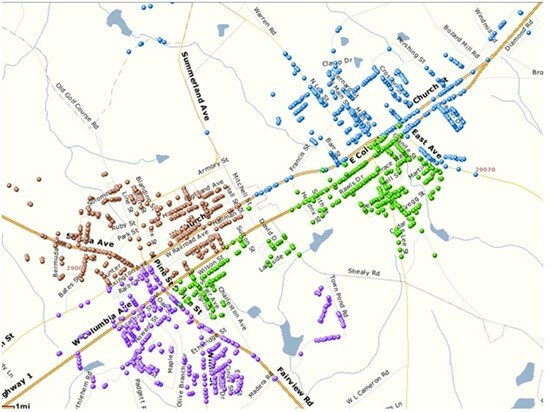 If your garbage is not collected on the day assigned, we still encourage you to contact Town Hall and make us aware, so we can communicate with Advanced Disposal and determine if it was missed or if they encountered problems which has delayed normal pickup. The map below provides a general reference to the day of your pick-up. To ensure your trash is picked-up on the correct day, please contact our staff at Town Hall. The Town of Batesburg-Leesville encourages all residents and businesses to recycle. 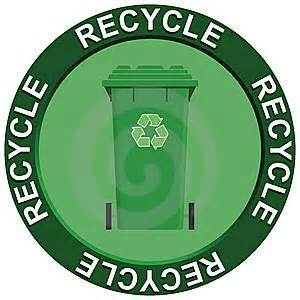 Recycling bins can be requested from Advanced Disposal, who provides recycling services. If you currently don't have a recycling bin and would like one, you may contact MarthaAnn Lake at Town Hall (803) 532-4601 or Advanced Disposal at (803) 256-7276. Recycling pick-up is every other week and occurs on the same day as your trash pick-up. Please check the community calendar on our home page for the next scheduled pick-up. Please remember to remove and discard all lids and rinse out all containers. Crush plastic and cans if possible.